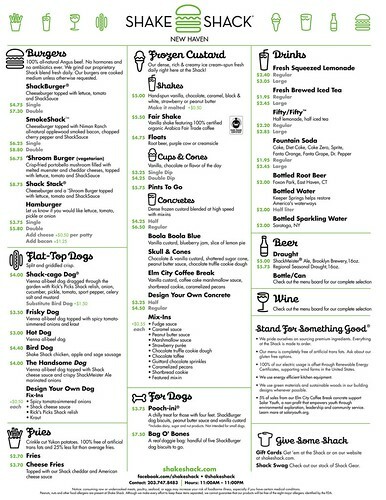 Blondie and Brownie: Shake Shack New Haven's Menu Revealed! Boola Boola Blue: vanilla custard, blueberry jam, slice of lemon pie. I copied the description directly from the menu and I'm assuming that there should be a comma between "coffee cake" and "marshmallow sauce." This is a nice nod to Lithuanian Coffee Cake and New Haven's time honored indie coffeehouse tradition. Foxon Park Root Beer! This excellent natural soda company out of East Haven is a local favorite and their root beer (and birch beer!) are awesome. Thanks to Danny Meyer & co for doing the Elm City proud! Can't wait to check out the new Shack! Skull & Cones is pretty clever, I have to say. Thanks for the posting the menu! 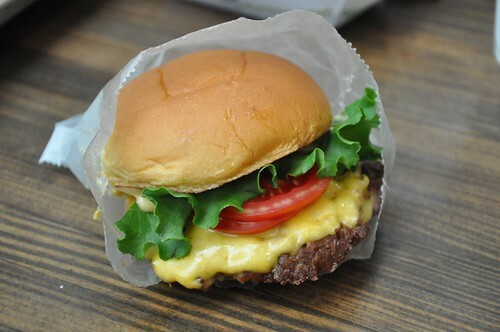 I ordered a Shake Shack burger at Citi Field last week. I added this as a featured post on blogzby.com. You also need to specify that you want mozzarella restaurants in newhaven on the pizza. After we ordered, I needed to move our car into the Sally's parking lot.